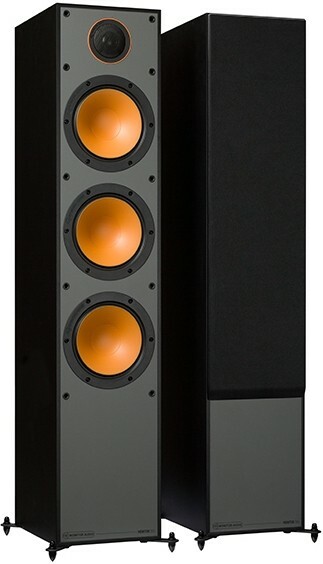 Flagship floorstanding model in the Monitor Series sitting above the flagship Monitor 300 with MMP II, Black C-CAM, Hive II and outrigger feet. Earn 549 loyalty points when you order this item. 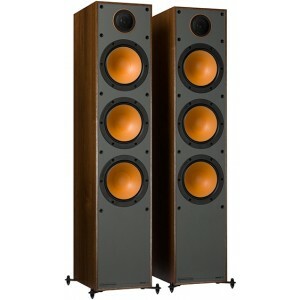 Monitor Audio Monitor 300 floorstanding loudspeakers give a room-filling performance with a rich and enveloping bass and extraordinarily detailed audio resolution. Their elegant proportions and contemporary driver styling ensures that they will be a feature of any room. Combining the C-CAM dome tweeter from Monitor Audio’s multi award-winning Bronze series with a creative use of the drivers’ configuration, the speakers are tuned to deliver a true musical performance. 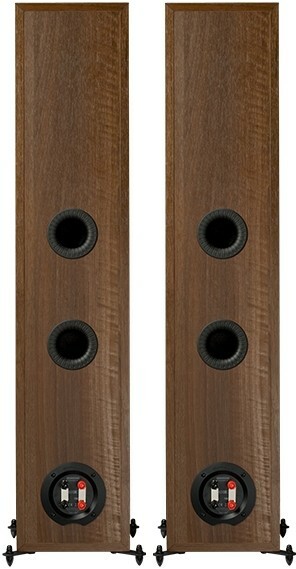 Their cabinets house triple 6.5" MMP II bass drivers: two dedicated to bass and one to mid-range frequencies. The dedicated mid-range driver delivers the clarity and precision expected from a serious hi-fi speaker and adds the necessary warmth to create an immersive musical and cinema experience. 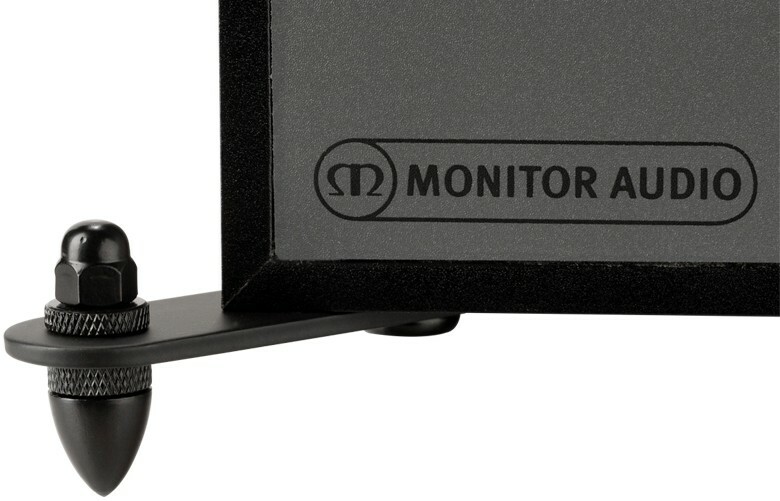 The Monitor 300 is equipped with outrigger feet that give a sleeker appearance, take up less floor space and improve the stability of the speaker. 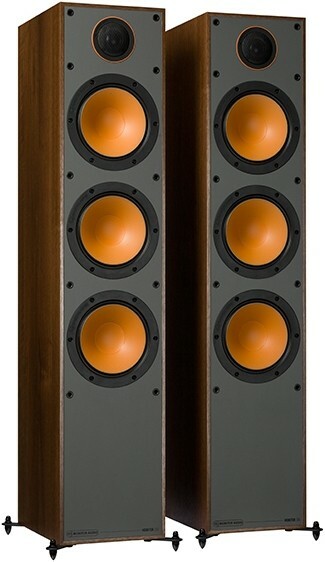 The Monitor 300s are the top-of-the-range speaker and have been designed to give maximum power and performance. The larger driver and cabinet size produce the scale and punch that is recommended for optimum performance in medium to large rooms. The speakers feature all the class and style expected from Monitor Audio and are finished in a choice of black, white or walnut. Their lively design and construction ensure that they will brighten any room. 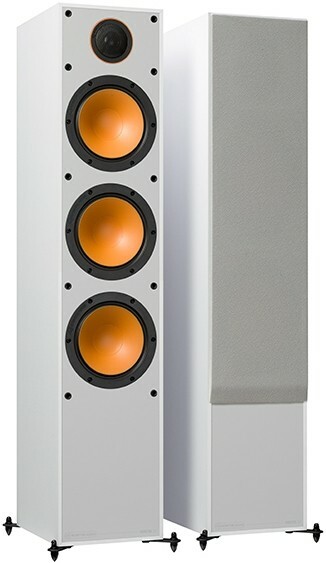 Monitor Audio's creative use of 5.5" and 6.5" drivers have delivered a compact bookshelf, floorstanding model together with larger bookshelf and floorstander to complement larger rooms and higher power applications. The Monitor Series delivers detailed audio resolution in both two-channel and multi-channel configurations.